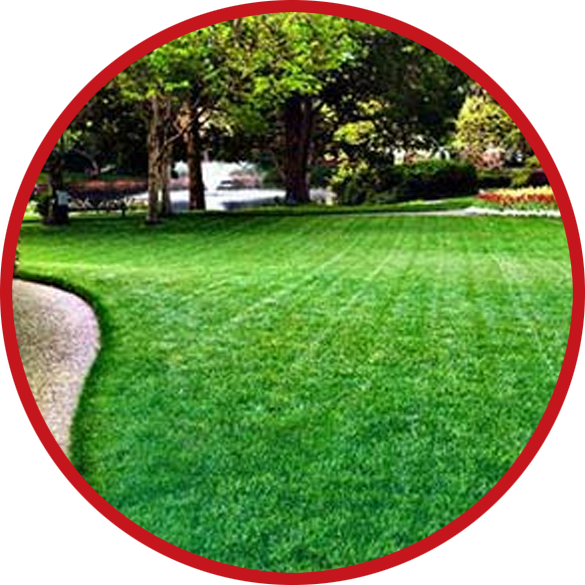 Outback Lawn Service has many different services that we offer to our residential and commercial customers. When you choose to hire our group of lawn care professionals, we will gladly work with you to discuss our various options, so you can be thoroughly informed of all of your choices. Our services can accommodate customers who have a townhouse-sized lawn all the way up to a large commercial-sized lawn. Once you know what lawn care services will work best for your particular lawn, and for your particular budget, then we can arrange a lawn care schedule together. Below, you will find a list of our services, as well as a brief description of each. Mowing: We will thoroughly mow your lawn, as well as edge and blow around walkways and driveways. We will mow at recommended heights for your particular grass type, while taking into account current weather conditions, as well. Landscaping: Our landscaping services include caring for your lawn beautification that goes beyond just mowing your grass. Whether you have trimming, mulching, weeding, planting, or other landscaping projects, our experts are here to help. Mulching: Mulching is an important process that helps protect your trees, shrubs, and plants from damage. It also rejuvenates your lawn and adds to the aesthetic appeal of your property. Aeration: Aerating, typically once a year, helps your grass to grow strong and healthy. We have all of the tools and equipment needed to provide excellent aeration services for any lawn. Leaf Removal: During the fall season, it is important to remove large amounts of leaves from the surface of your grass. Allowing leaves to accumulate and remain on grass too long, will smother the grass blades; therefore, we offer services for leaf removal. Snow Plowing: When winter weather hits our area hard, Outback Lawn Service offers services that will keep our community safe, by snow plowing walkways and driveways. With our services, you can get outside without the fear of hurting yourself. Outback Lawn Service has many services that we offer. If you are looking for someone to help you with your lawn, or your outdoor environment, then give us a call today!